The Pakistani cricket team and their members have found themselves on the receiving end of trolls on several occasions even before the advent of social media. They have never failed to entertain fans in one way or the other when they take the field. Their record against India in World Cups, Fawad Alam protecting his eyes from the sun with his hands in spite of having a cooler on his cap, Shahid Afridi trying to smell the ball and Mohammad Irfan letting the ball through his legs to make Sarfraz Ahmed go crazy on the field are just some of the instances that come to our mind when we talk about the Pakistani team trolling themselves. On that note, let us take a look at some of the instances when the Pakistani team trolled themselves. NOTE: Please note that the tweets are fake and only meant to elicit a chuckle. Do not take the views seriously. 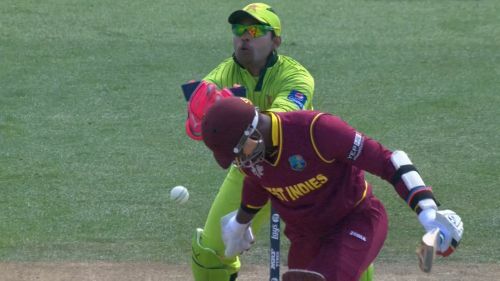 ABCD stands for Akmal Ball Catch Drop. This is the simplest way of referring to Pakistani wicketkeeper Kamran Akmal's performances behind the stumps. Akmal has the knack of dropping the simplest of chances and has faced a lot of criticism for his technique over the years. Akmal is not the only Pakistani cricketer who has the tendency to put down some easy chances. The Men in Green are renowned for it and the opposition batsmen are safe in the knowledge that if the ball goes up in the air, the fielder will drop it. Pakistan have produced some very good fielders, but a majority of the cricketers who have represented the country are just liabilities on the field. Not only their catching but their ground fielding too is not up to the mark and the fielders make sure that they give you a reason to laugh when you watch them play.